Trinity Medical Associates (Wilmington) - Book Appointment Online! Providing Quality Care......each and every day. 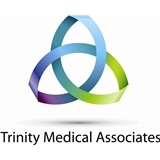 Welcome to Trinity Medical Associates, a Primary Care Medical Practice founded February 1, 2013. We have six medical providers and two convenient locations. Our North Wilmington location is 410 Foulk Rd. Suite 200-B Wilmington, DE 19808. Our second location is close to Newark/Pike Creek and is 5209 W Woodmill Drive Suite 35 Wilmington, DE 19808. We strive for optimum care and excellent patient service. She’s great! Very engaged and promotes a healthy lifestyle. The practice offers yoga classes, and other initiatives to assist their patients In achieving/maintaining health goals! I am so glad I found them!